Roman's work has a unique impact and energy that overwealm the space and time through live sculptures and performances using different shapes and fabrics. "Our impressions may give a start for the new world. The collection of the Live sculptures is a reflection of the world of my emotions and impressions. By striving to the architectural harmony I am building the energy bodies and each of them is the embodiment of my countless forms. By meeting Live Sculptures you may get acquainted with me in various manifestations. And the relationship between music and the light, form and movement are called to unite all the images and help to enter a new reality.” says Roman. Roman Ermakov (1985) is a Russian artist. Lives and works in Moscow. Studied at Moscow State University of Civil Engineering on specialization engineer-architect. He retains the architectural approach in artistic practice. 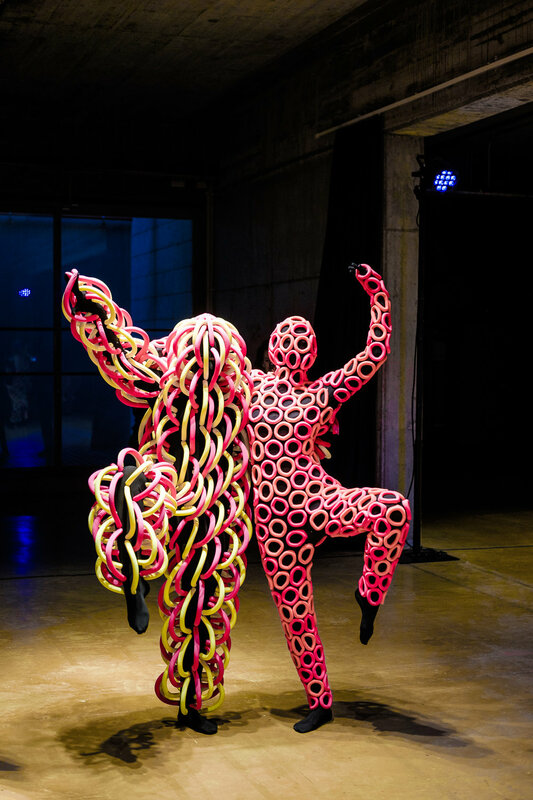 In performances, he combines various art techniques, unifies the body with sculpture and movement with music. Works in a genre of total installation. Roman participated in many exhibitions and art festivals from Amsterdam to Singapore, works for theater and cinema. In 2014 he participated in the Cultural Olympics in Sochi and was one of the artists who represented Russia at the Doma Art Festival / “The Hearthbeat of New Russia” in Sofia (Bulgaria) and at the Berlin Alternative Fashion Week (Germany) in 2015.